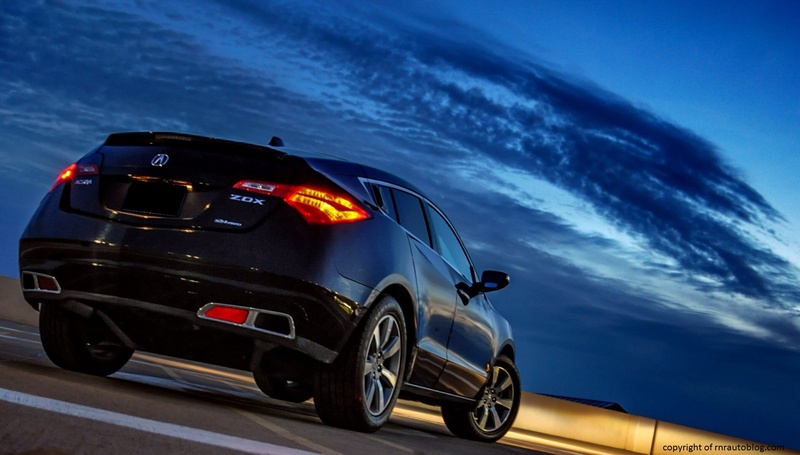 Traditionally, Acura and its parent company, Honda, have always been conservative and staid automotive manufacturers. 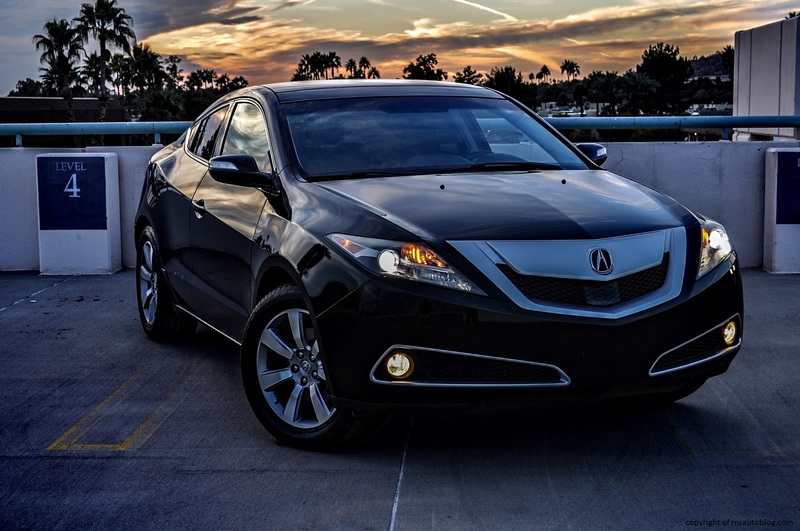 That changed in around 2009 when Acura decided to debut its new grille design, the so called “beak” which consists of a very pronounced chrome design. 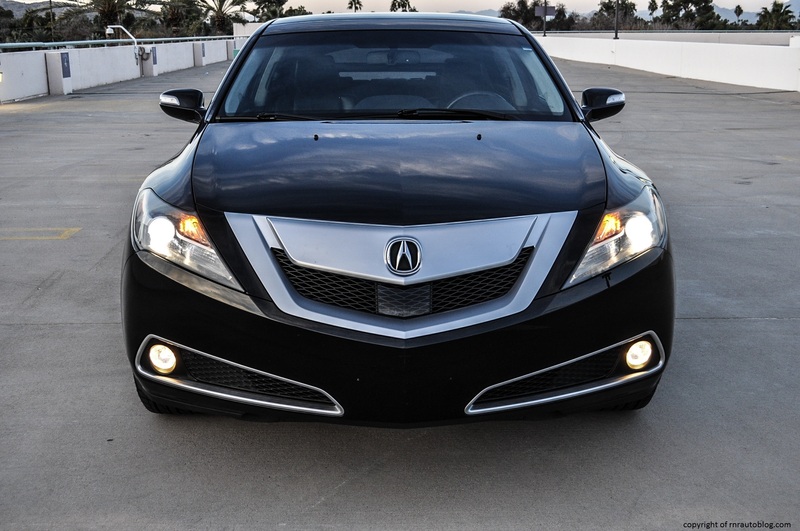 This new grille design sparked a new design revolution at Acura. All of sudden, its cars were designed to be less angular and more curvy, yet more futuristic looking. This new design strategy also led to the ZDX. 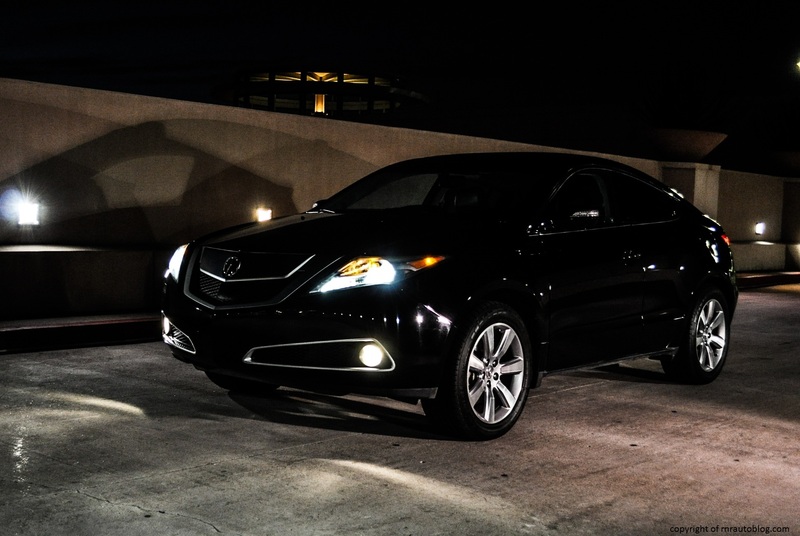 Designed by Christine Michelesen and based off Acura’s MDX, the ZDX is meant to blur the lines of a coupe and an SUV, akin to the BMW X6. 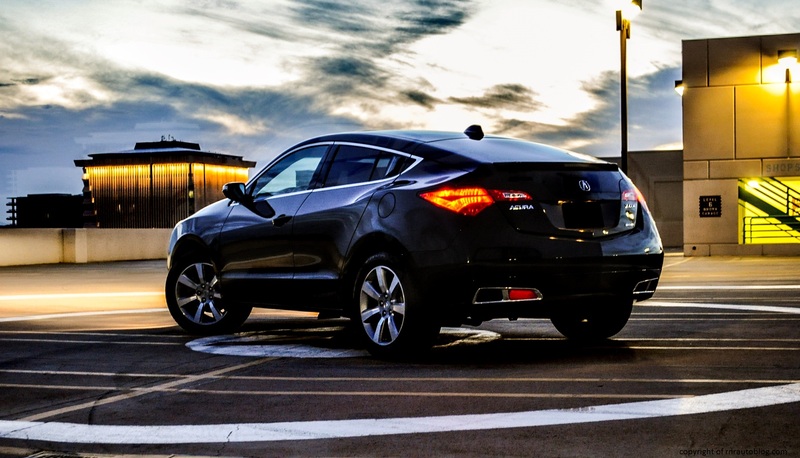 Breaking from the Acura’s norm of producing conventionally styled vehicles, the ZDX was all about design and not function. 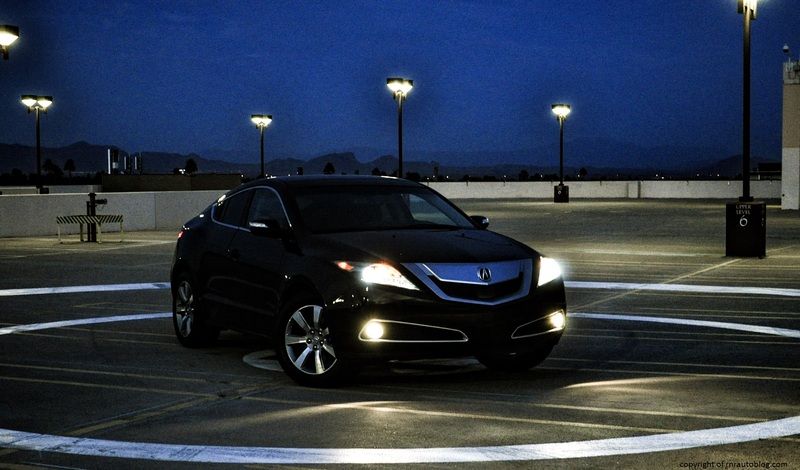 When it debuted in 2009, Acura was thought to have gone off the deep end. Here is a vehicle that is based on the MDX SUV, yet it is less impractical, can only carry five people, and commands about 10 grand more. Sadly, these flaws counted against it, and it never really sold enough to become a common sight on streets. 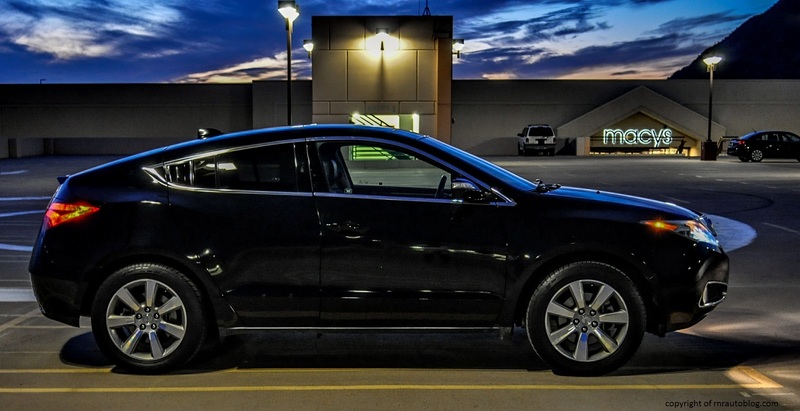 In its last year of production, the ZDX sold only 362 units (according to Wikipedia.com) in 2013, truly making it a rare sight in America. The owner of this car (check out his blog) was able to get this car in the fully loaded Advance version for a fraction of the price to buy as brand new. Naturally, I wanted to review a ZDX and see what the SUV/coupe/SUV-ish coupe/coupe-ish SUV was all about. 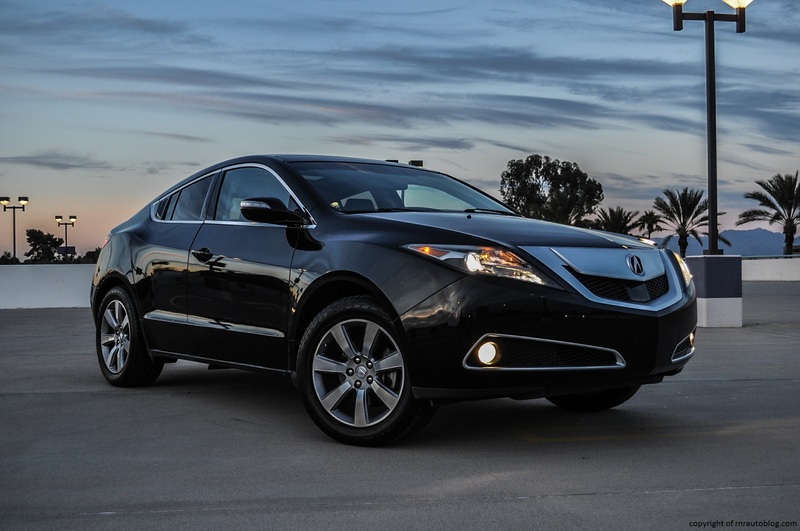 The main controversy surrounding Acura’s design in the last five or six years has been due to the “beak.” The beak in question is a chrome shroud that surrounds the grille, and the middle portion protrudes outward like a beak. This grille design has been criticized for attracting too much attention to the grille and not in a complimentary way. I do not want to be rash, but on a car that is designed to look sleek, the beak detracts from the sleekness with its bluntness. 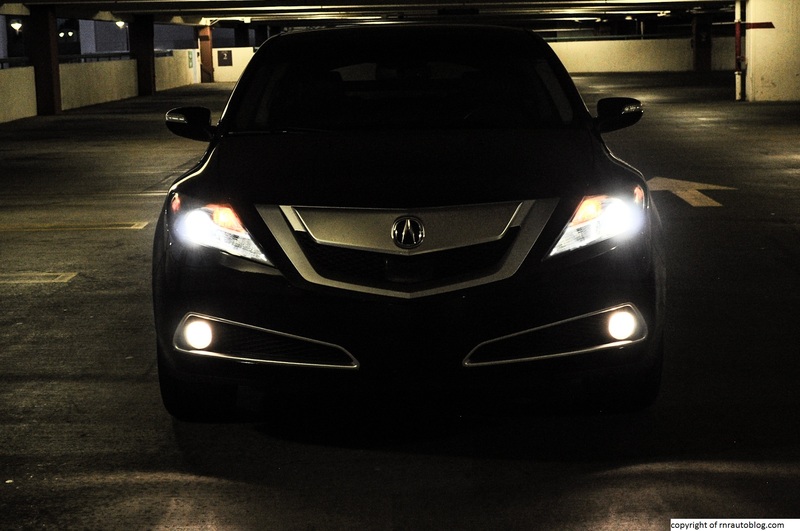 However, I do like the lower fog lights and the surrounding housings. The side profile closely remembles a bug. Whenever I look at the side, I cannot stop conjuring images of a beetle in my head. The roofline dips dramatically past the front door and gives it a rakish silhouette. The side is also defined by a subtle crease that extends to distinctive contouring below the rear door handle. 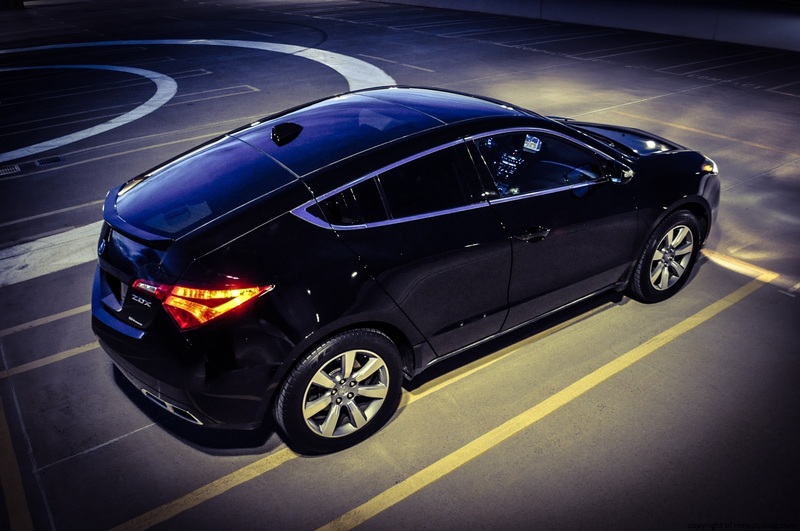 Speaking of the rear door handles, they are located in the window, giving the ZDX a true coupe look. I find that the rear is the best aspect of the design. 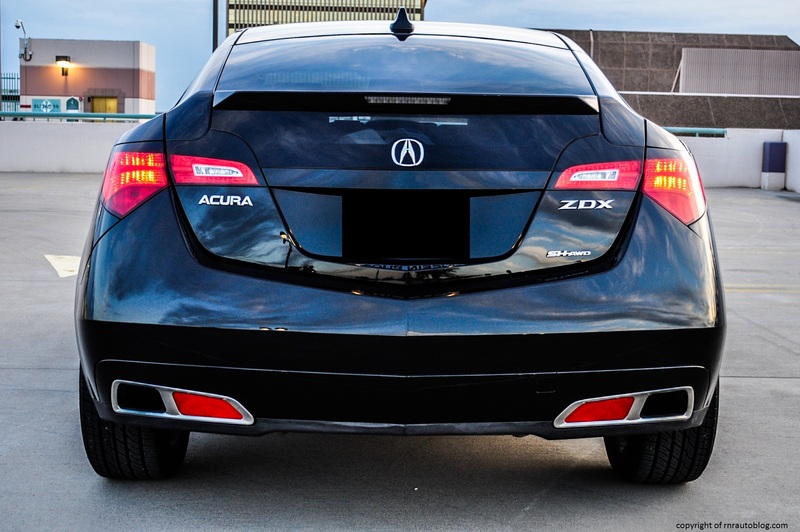 It is beautifully done, and I love how it looks like the taillights are located on the “shoulders” rather than the trunk/liftgate. The only thing that I dislike about the rear are the exhaust outlets and the reflectors embedded within. It just looks out of place. Overall, even though the “beak” leaves much to be desired, it literally looks like a masterpiece. 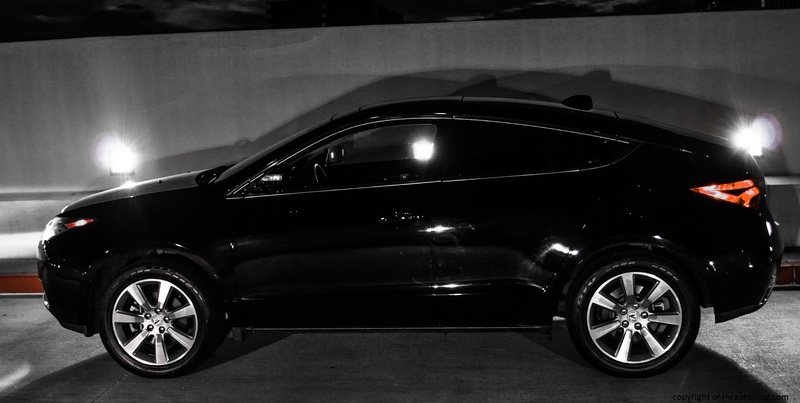 The rest of the design just flows through so smoothly, and it looks like nothing else on the road. The interior feels like a typical Acura, and the buttons and the somber colors give it a technologically futuristic feel. I love the center console design (it is called a pod) as it wraps around at the end by the front seats, and it feels like its own item rather part of the interior. Interestingly, the ZDX drives better than its relatively large size would suggest. The steering feels tight and responsive, and it provides decent tactility. One of the technologies that the top of the line Advance package brings is Integrated Dynamics System (IDS) which allows you to allows you to tailor the steering and suspension systems. Turn a switch located in front of the shifter, and Comfort or Sport mode can be enabled. 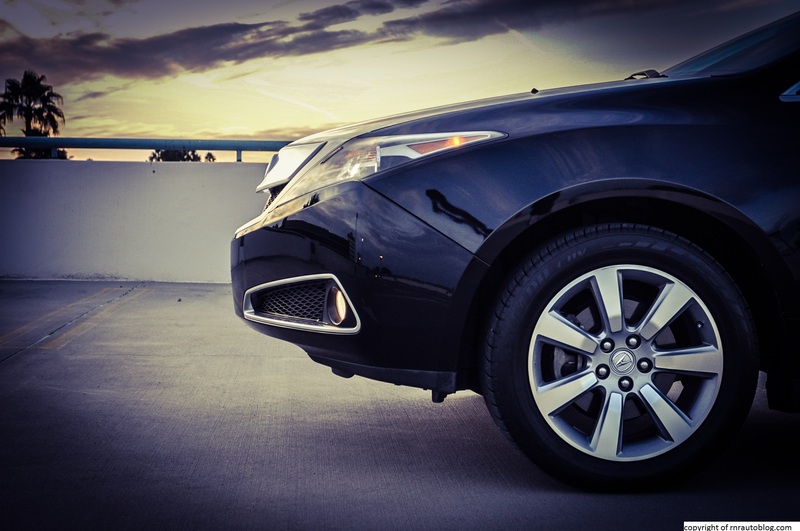 Select Sport Mode, and you can feel the ride height lowering and the suspension firming up. The steering becomes substantially heavier which I prefer as opposed to the overly light Comfort mode and too light Normal mode. 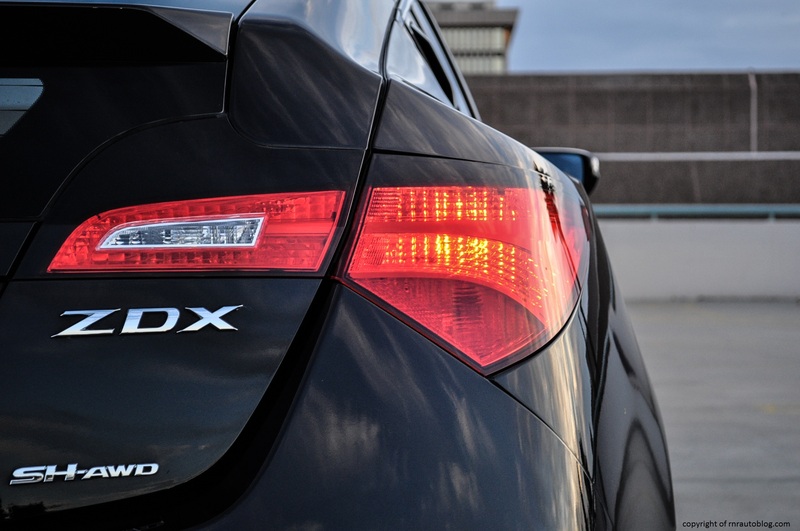 The ZDX comes standard with Super Handling All Wheel Drive (SH-AWD), and it does enhance its handling. 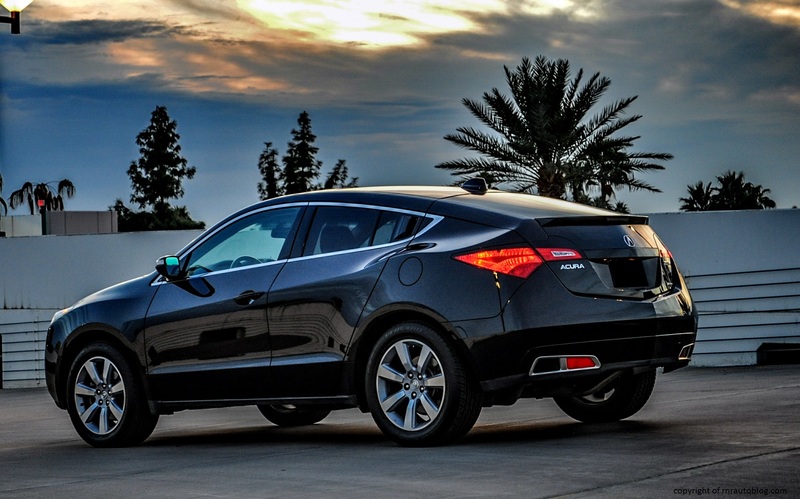 In corners, SH-AWD system distributes extra torque to the outside wheel to aid its agility. 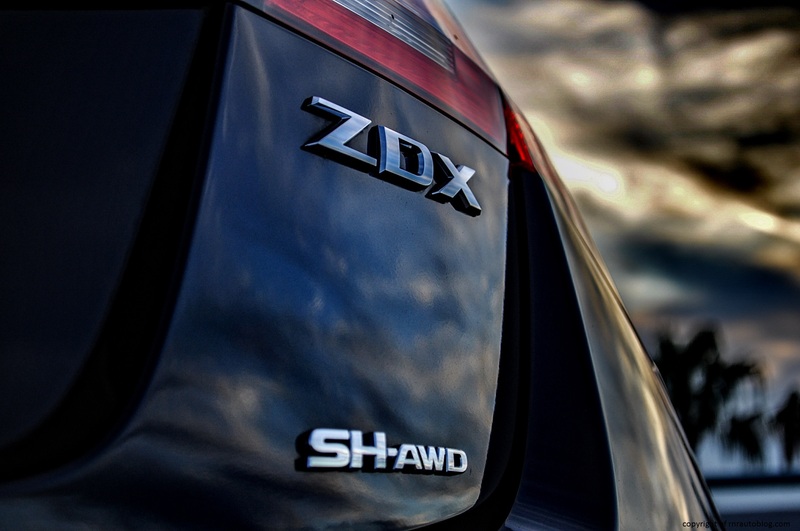 With SH-AWD, the ZDX propels out of corners with surprising tenacity (for an SUV). No matter how many fancy technologies make it turn better, there is no disputing the ZDX’s bulk as it feels front heavy and prone to understeer at times. The steering is quick, and it tracks well. In Normal mode, the ride has a taut quality to it, but it is tolerable. In Comfort mode, the ride is soft and slightly floaty while in Sport mode, it is downright bumpy, especially on less than ideal roads. Braking performance is very good with decent stopping distances and a responsive pedal. The only powertrain available for the ZDX was a 300 horsepower 3.7 liter V6 coupled to a six speed automatic transmission. The combo works seamlessly, especially during takeoff from a stop. With the grip from all four tires and bountiful torque available from low rpms, the ZDX catapults itself from 0-60 in 6.4 seconds, not bad for a 4440 lbs vehicle. The six speed automatic transmission sometimes hesitates to kick down a gear or two, making the ZDX feel more lethargic than it is. On sharp inclines, the V6 can feel slightly strained hauling the ZDX’s bulk. According to the owner, fuel economy in the city is 19 mpg, and highway is 25 mpg. 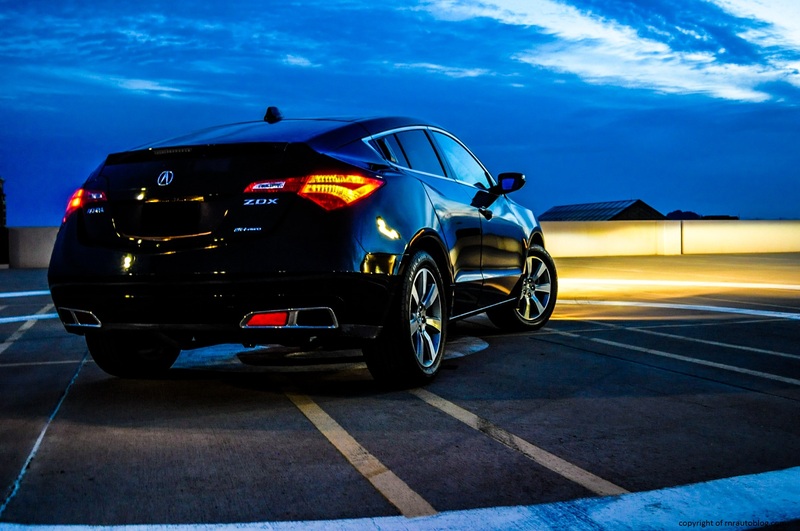 The V6 and the six speed automatic transmission propels the ZDX with enough authority to handle most situations as well as providing respectable fuel economy. The V6 emits a pleasant growl at low revs, and throughout the entire powerband, it lets out a nice muscular tone. 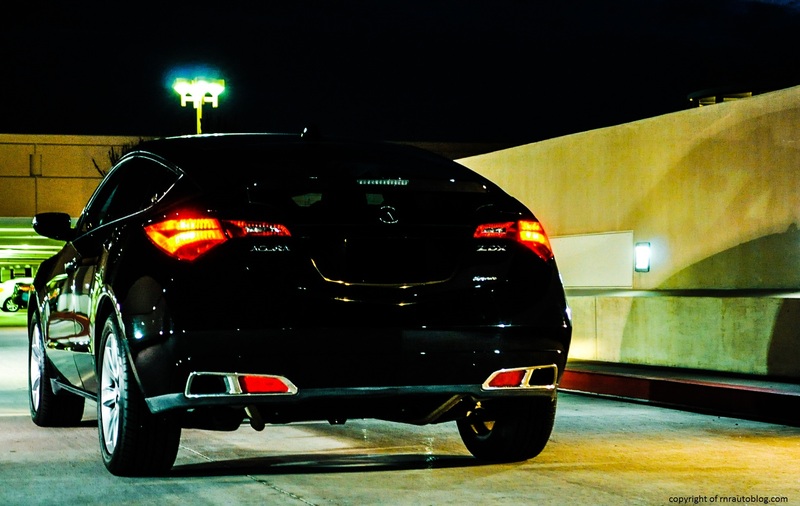 Unfortunately, road noise, a typical Acura trait, is pronounced although it is diluted compared to other Acura vehicles, and wind noise is nonexistent. 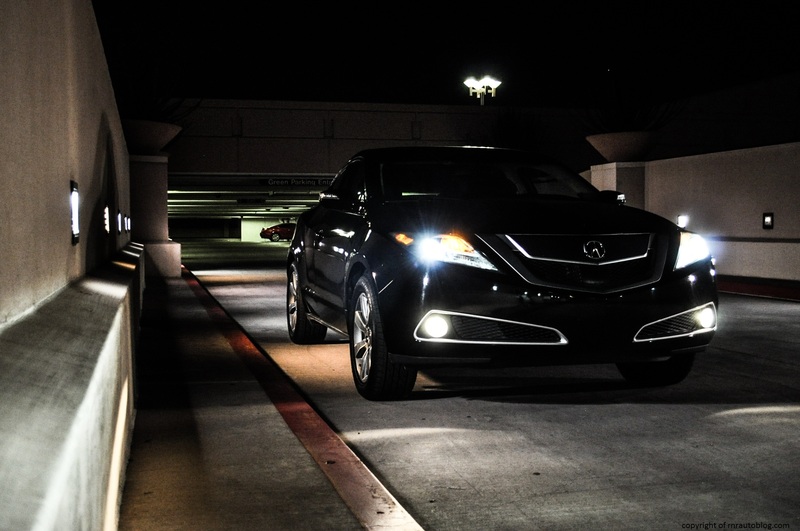 As soon as you step in the interior, you are reminded that this is not your typical practical Acura. For starters, the interior literally feels so snug that it wraps around you. The center console takes up a lot of room, and I can imagine that with the low roof and the cramped interior that some drivers may feel claustrophobic. However, I liked this because it felt like I was sitting in a sports car. The aforementioned low roof does impede your vision forward somewhat, but finding a good driving position is easy. As for rear visibility, forget about it. Your best bet is to rely on your mirrors. The seats are comfortable although the cushioning might feel too firm for some people. The center console has a nifty design to it; it extends from the center stack to all the way back to the back of the front seats, and it wraps around at the end. The wraparound center console is appealing, and the things you store there can be within easy reach. Fit and finish is excellent as the interior is constructed of high quality materials. 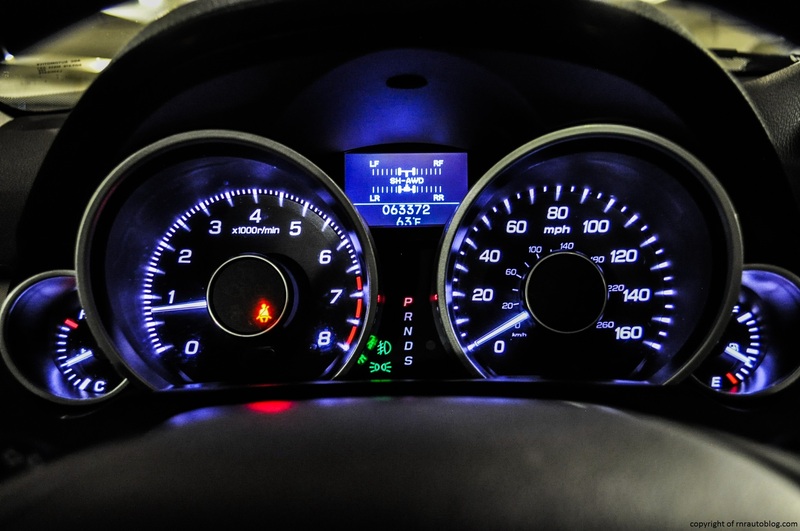 The gauges are well labeled, and it is easy to discern your speed or other relevant data at a glance. The controls’ interface may seem daunting due to the sheer number of buttons, but once you familiarize yourself with the controls, it becomes second nature. I still yearn for the brilliant touch screen navigation systems used in previous Acura vehicles, but as far as navigation systems goes, this is not bad. I do wish that the navigation screen wasn’t recessed so far behind. Access to the rear is troublesome due to the sloping roof, and headroom back there is poor. Tall people in the rear will find their heads brushing against the roof. The ZDX has five seats, but in reality it is more of a four seater as the rear is cramped for three adults. The cargo space is significantly worse than its sibling, the MDX, due to the steeper roofline, but it is not terrible, and the rear seats fold down to expand the cargo area. Cabin storage is decent, and there are nifty compartments to store various items abound in the cabin. 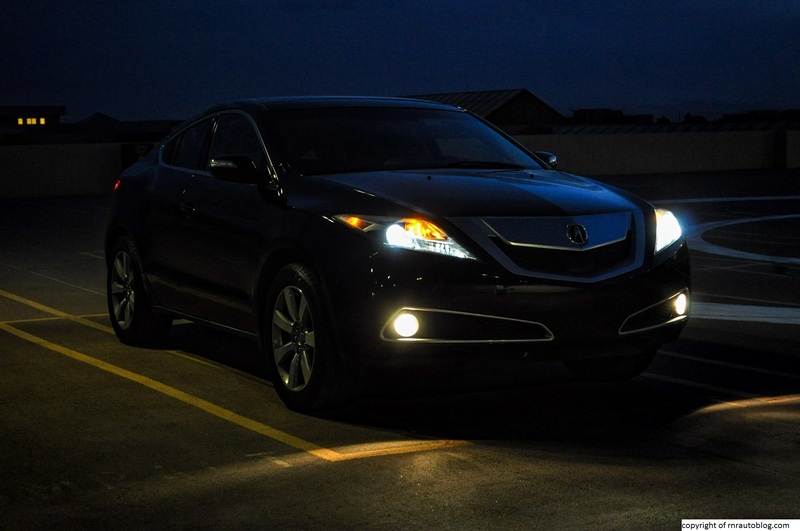 Believe it or not, there is something special about the Acura ZDX. It may be impractical, cramped, and expensive (brand new, this Advance version would have cost around $56k), but there is something intriguing about it. The styling is not for everyone, and as a package, it simply is not rational enough, but it is different. For starters, the exclusivity cachet is very high. Only around 6,000 ZDXs have been sold over a 5 year long period. You are literally driving a collectible item. 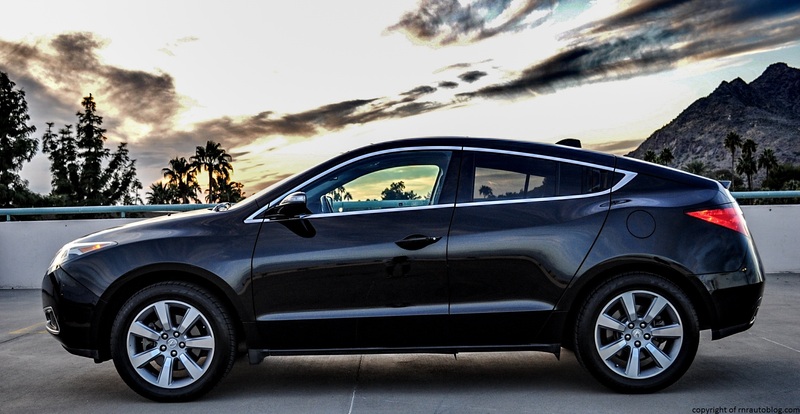 As a used buy, it is well equipped and pleasant to drive, and the interior is nicely appointed. 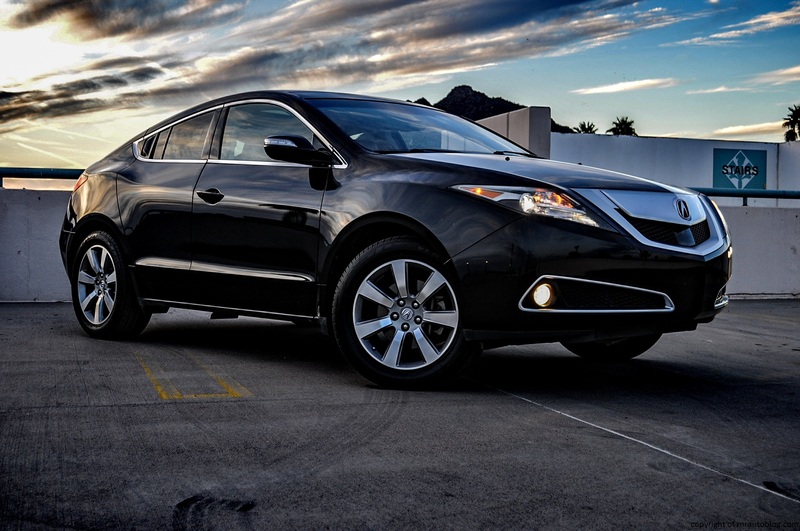 What this ZDX represents is a bold step from conformity, and it does so in style. It is a shame that it never garnered the praise that it deserves, because with this car, you get the feeling that you are driving something truly special. 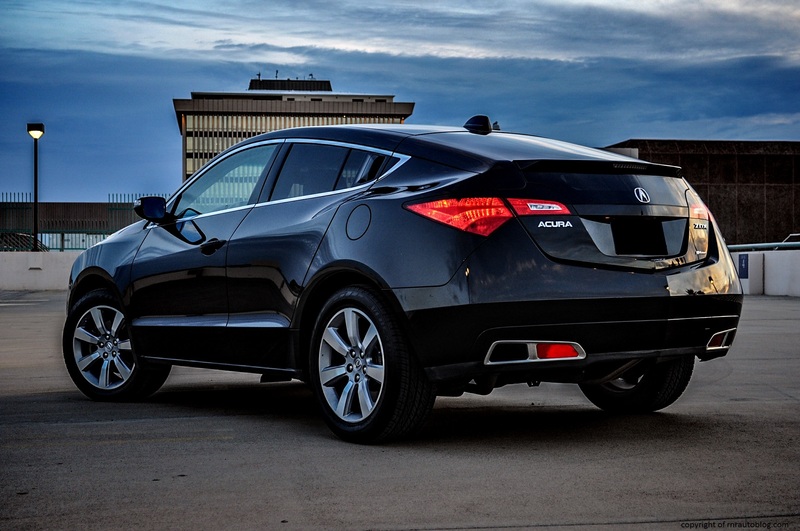 Long live the ZDX. 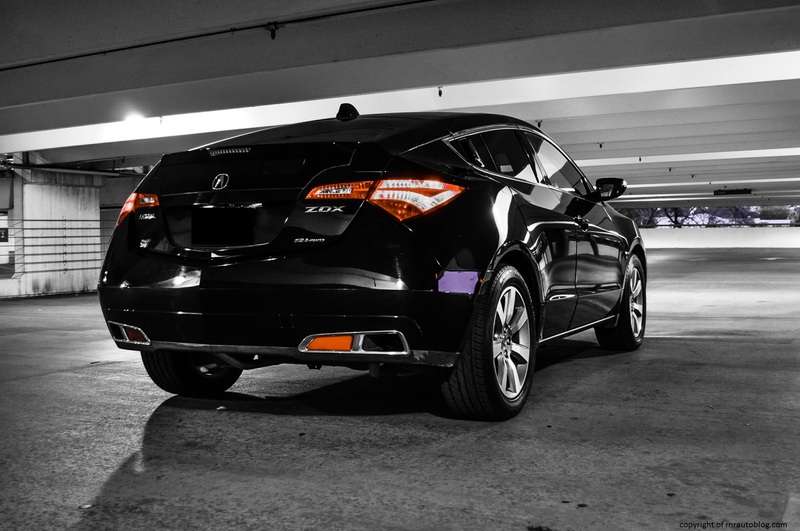 I’ve always loved the ZDX, in the same way that I love all “under-appreciated” Acuras! Great write-up and those are some amazing pics! Thanks tyson! When I get back in town, so I’ll hit you up!